Thermador introduced America to the cooktop more than 70 years ago. Today, the brand offers an incredible variety of them, each boasting the ultimate in innovation, versatility and performance. 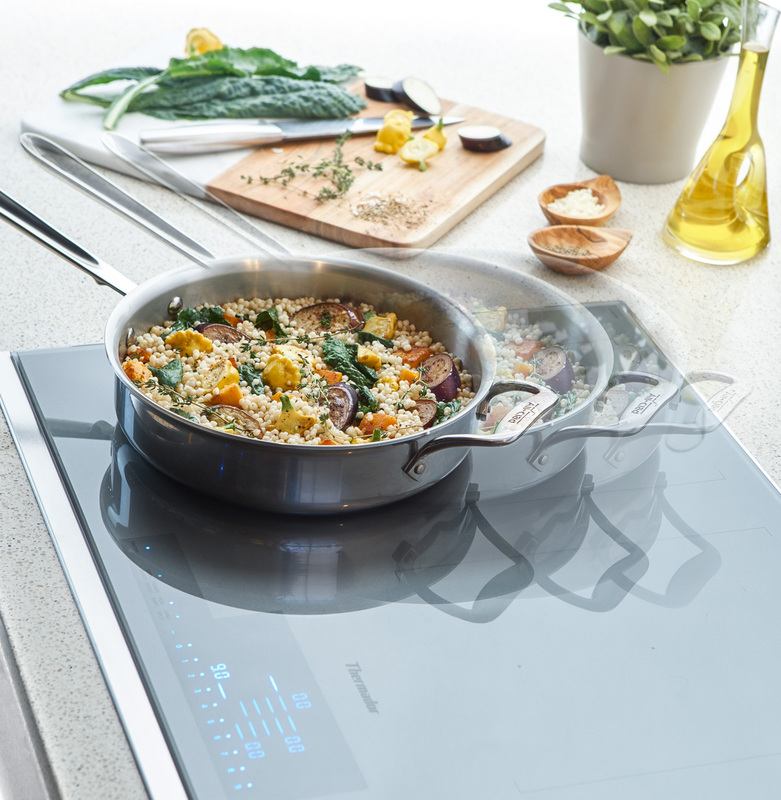 With the launch of the all-new Thermador Liberty™ Induction Cooktop, we are continuing to take cooking to unimagined heights. Crafted with care, the Thermador Liberty™ Induction Cooktop empowers cooks to take advantage of more space and flexibility in placing larger cookware on the surface. 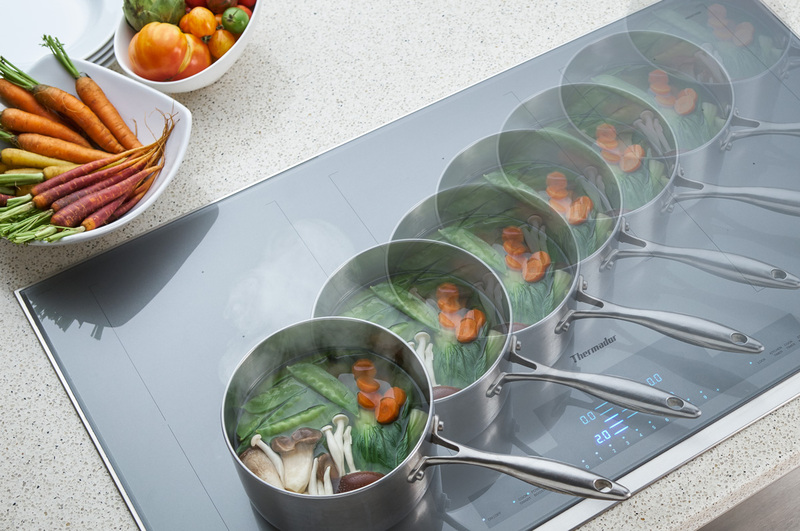 Featuring eleven oval elements spread over three extra-large induction zones, Thermador’s all-new Liberty™ Induction Cooktop lets you cook with everything from small sauté pans to oversized pots. Each zone can accommodate pots and pans from 3” to 11”, as well as Teppanyaki grills that measure up to 16”. With an unequaled collection of first-ever features, this exceptional cooktop offers more precision, flexibility and power for those who desire complete control over every culinary endeavor. 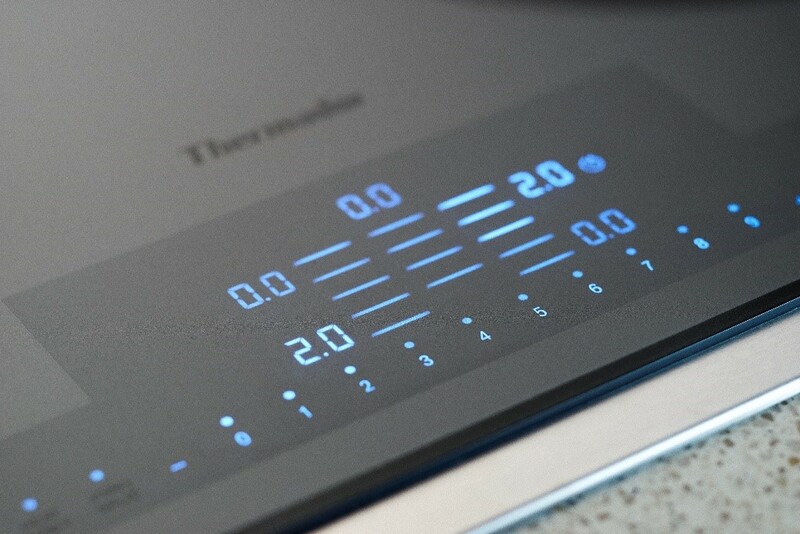 The innovative HeatShift™ function controls the power level of the cooktop as a pot is moved from one space to another across a cooking zone, activating the entire surface. After the power levels are set, HeatShift™ remembers your settings so the power level automatically changes as a pot is moved over each zone, so you don’t have to do it manually. This setting is especially ideal for preparing foods that require time to boil, simmer and remain warm until serving. With the intuitive MoveMode™, the cooktop recalls individual settings for each of your pots and pans. When cookware is moved from one position to another, the cooktop automatically transfers the original settings to the new zone. 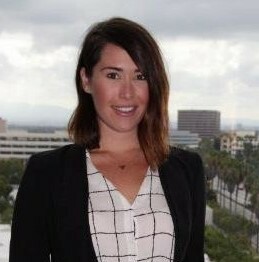 In addition, PanBoost™ technology provides 30 seconds of maximum power before adjusting to level 9 to continue cooking. Designed to shorten preparation time and ideal for cooking with oil, PanBoost™ allows you to spend more time entertaining guests during dinner parties. Available in two eye-catching glass top variants – Titanium Gray or a silver mirrored finish – the Thermador Liberty™ Induction Cooktop makes a bold statement in any kitchen, and with its new beveled design, it’s easier than ever to clean. With this stunning appliance, you have the power to prepare for absolutely anything – from intimate dinners to grand parties. 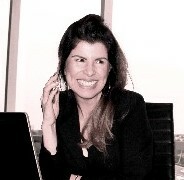 All you need to add is ambition! 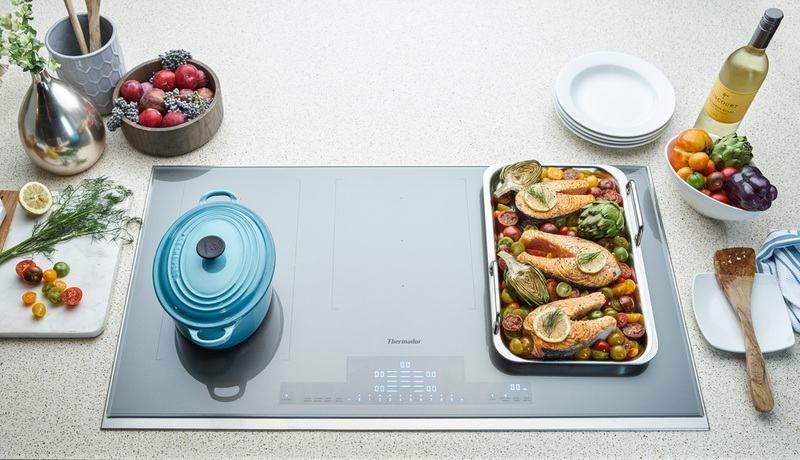 For additional information about the Thermador Liberty™ Induction Cooktop, please visit here.